We've been packing for the past year. It's hard to believe. Taking delivery of Tanglewood on the west coast creates and interesting logistical challenge in getting all our stuff across the country. 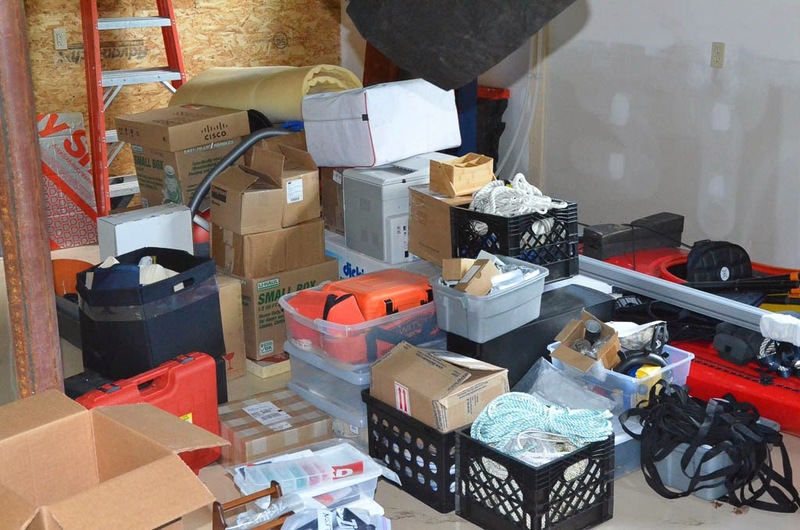 This "stuff" includes all our gear off of the Grand Banks, including all our clothes, books, charts, kayaks, dive gear, etc. It's amazing how much crap gets squirreled away on a boat. Add to that a bunch of new gear where we either 1) didn't have before, or 2) what we had but was an inappropriate size for the new boat. Shipping everything is certainly an option, but a few things have convinced us to haul it all across the country ourselves. First, we have never driven cross country, and I've always wanted to do it at least once. 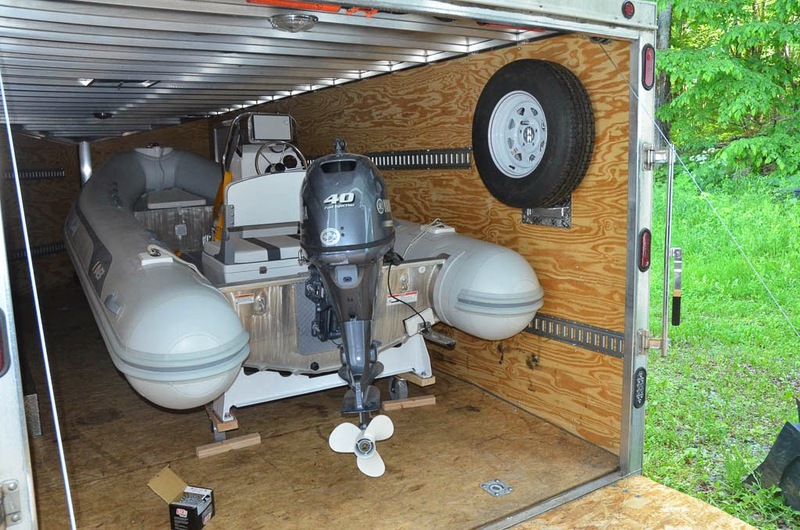 Second, we have a large enclosed trailer that's perfectly suited to carry everything, plus store it temporarily in CA until everything can be loaded on the boat. Third, we will need a car out there for the month-plus that we will be around for commissioning. All this led to our decision to drive out with trailer in tow. 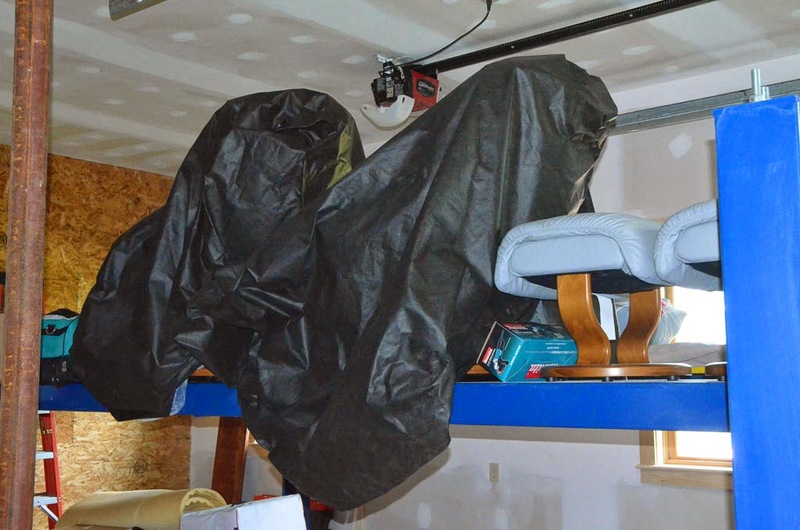 So the last year, aside from building the boat, has been about getting as much of the stuff we will need ahead of time, staging it all, and figuring out how to pack it in the trailer, and do so in anticipation of the order in which it will need to come out. 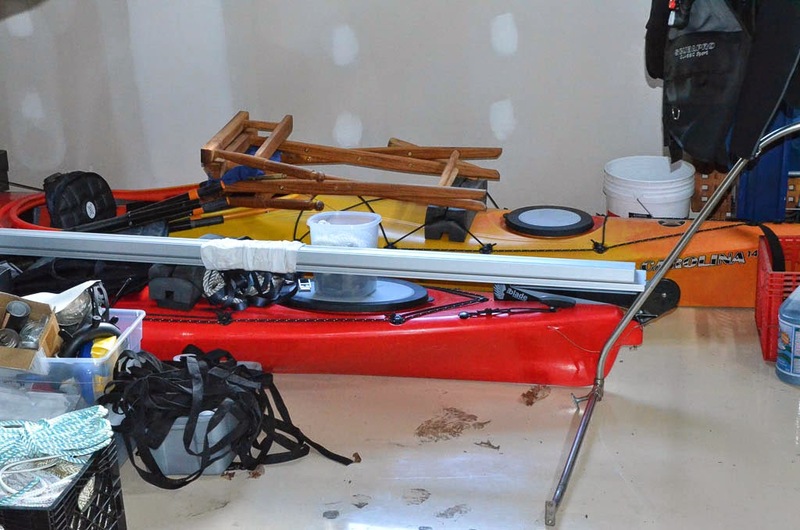 For example, the dinghy and life raft will come out early so they can be positioned and mounted on the boat, which will take some time. On the other hand, the mattresses and linens will be among the last things off. 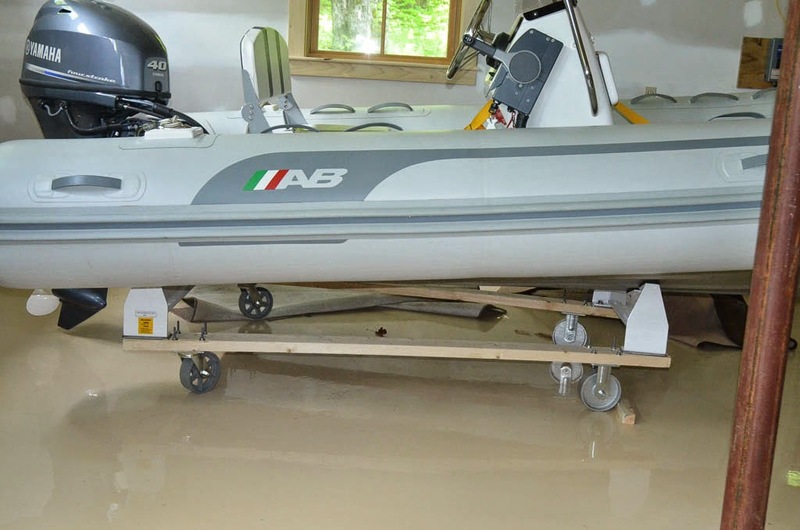 One thing we researched and bought well in advance (last fall) was the dinghy. 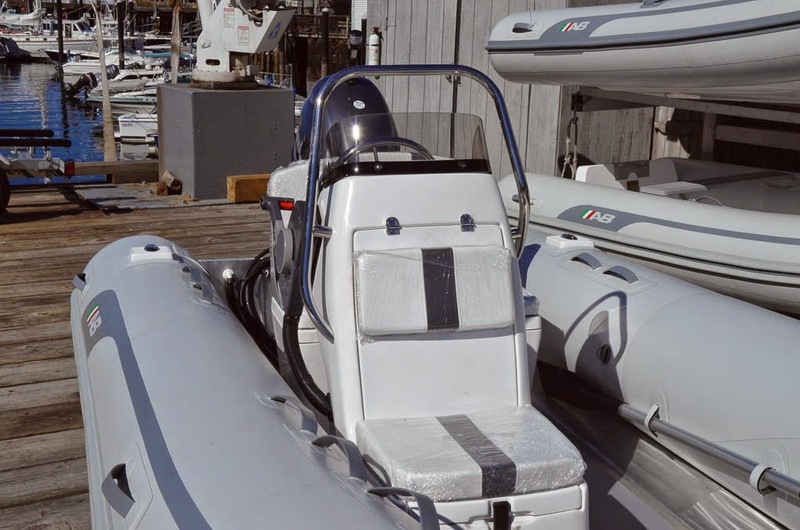 Another owner had tipped us off to a RIB (Rigid Inflatable Boat) made by AB that has an aluminum hull rather than fiberglass. 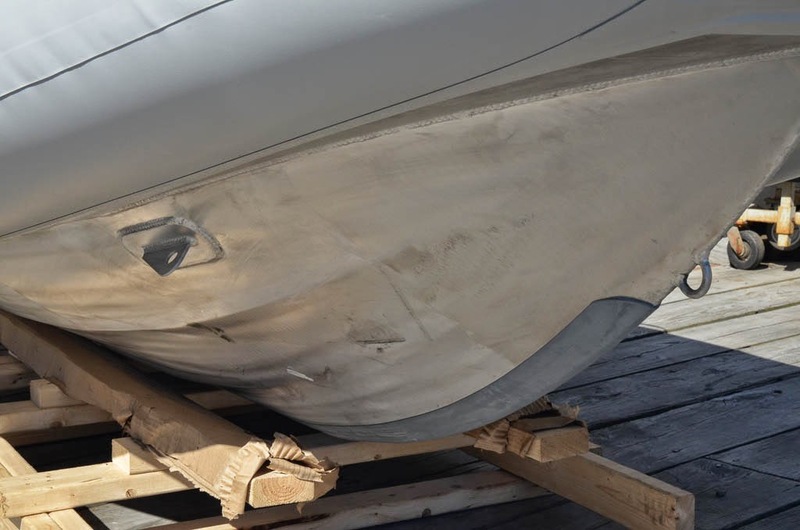 It's much lighter than the fiberglass version, which is always good when you are going to put it up pretty high on the boat deck, and the aluminum holds up much better when beached on hard, course surfaces as opposed to sand. And because it's lighter, it needs a smaller outboard which makes it even lighter again. So for less weight than a smaller fiberglass dinghy, we got a 15' aluminum hulled dinghy. For some reason, these are not big sellers in the US, so it had to be special ordered, hence the reason for getting it so early. From a distance, it looks like any other RIB with a console, but up close the aluminum hull is evident. The next question was how to move this thing around, including getting it into and out of the trailer. Dinghy's all get "mounted" on the boat deck with some sort of chocks that cradle the boat. I figured that if I sorted out the chocks now, I could mount them on a wood skid with casters and use it as a transport mechanism. 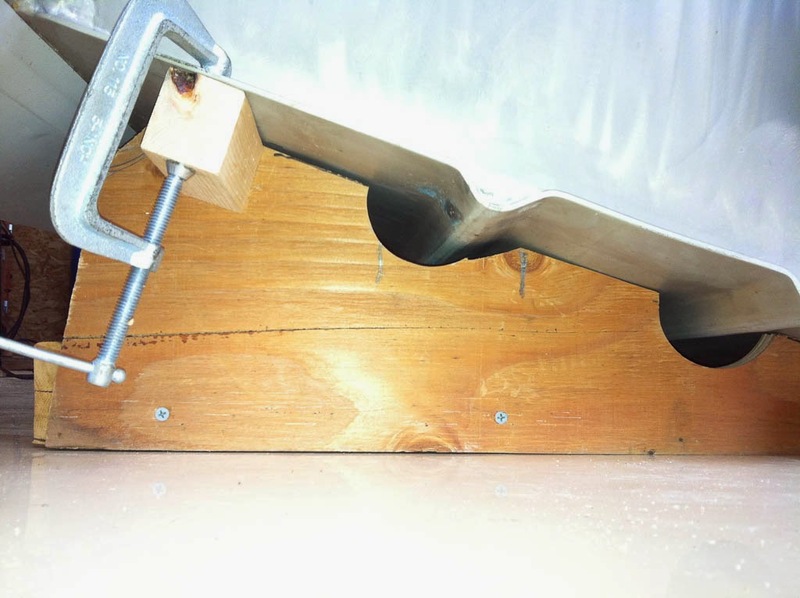 Plus, figuring out the chocks now eliminates a potentially long project at commissioning time. A variety of manufacturers make universal, adjustable chocks, but they are more suited to smaller boats. 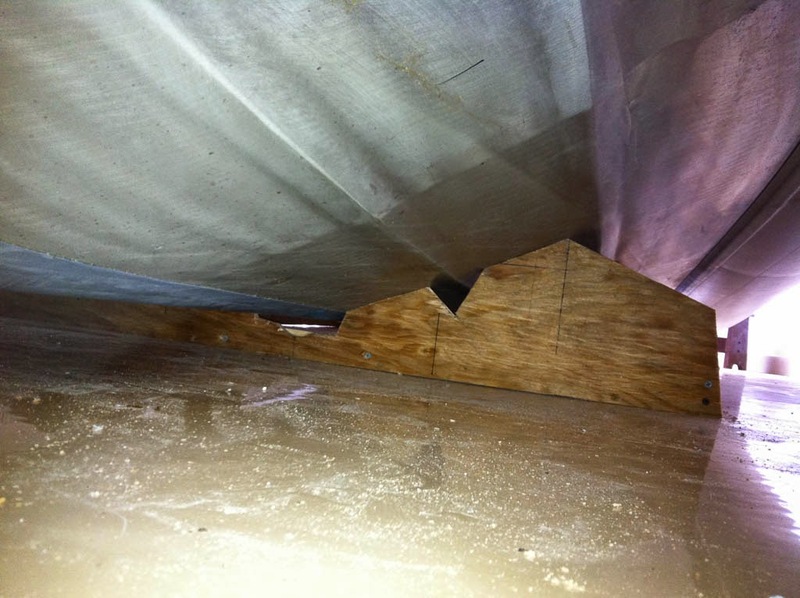 For bigger boats, custom made cradles are more typical that are scribed to the form of the hull. Being the cheap-skate that I am, I first tried the adjustable chocks, but when they arrived it pretty quickly became apparent that they were not beefy enough for real comfort, so I sold them and bit the bullet on custom chocks. After everything fit well, I packed up the templates and sent them along with a bunch of pictures to Marquipt in FL to fabricate the chocks. About 4 weeks later I got them back, and they fit great. Next I made a wood frame to hold the chocks in position and attached a set of heavy duty casters to the underside, and presto, I have a custom dinghy cart. 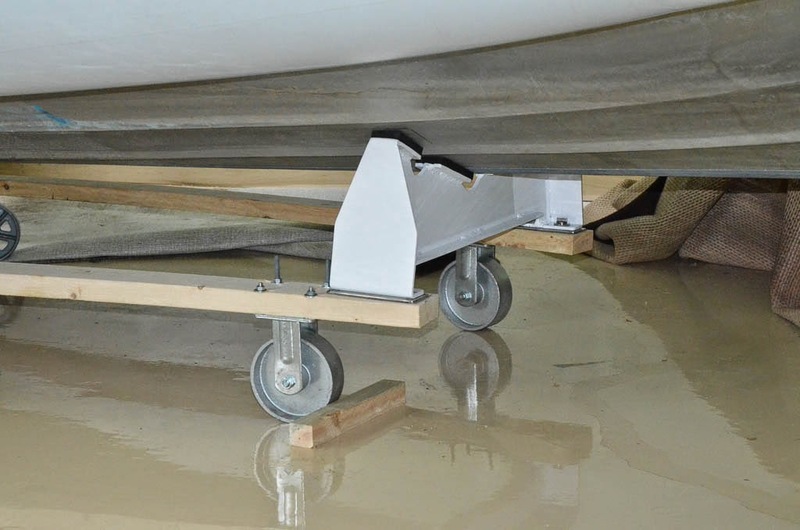 Chocks, wood frame, and casters makes a dinghy transport cart. Then, with a little help from brother #3, we rolled it up into the trailer. It's a good thing the trailer is big, because we are going to need every inch of it. 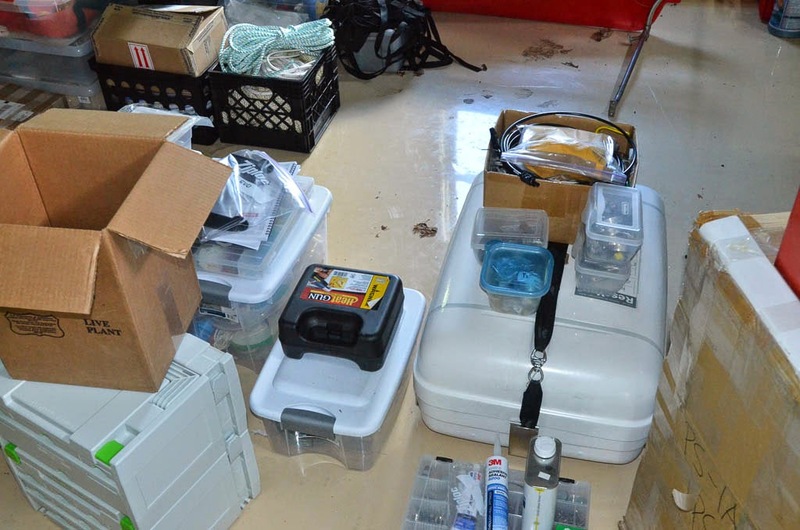 liferaft, kayaks, printer, tools, spare parts, dive gear, compressor, etc. It's now a very full trailer, and we still have more to add. It will all fit, but not with a lot of room to spare. Thank you for sharing the level of detail you are. It is very educationaly and interesting. I like to show my appreciation and encourage you to continue to blog.